Last night Jimmy Kimmel hosted the annual Emmy ceremony. The Primetime Emmy Awards honor the best television shows out there. So let’s have a look at all the winners and nominees, talk a bit about what’s to come. 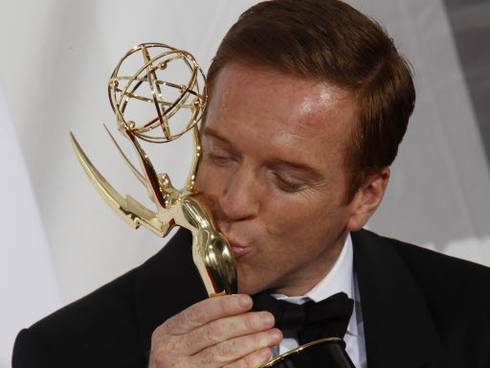 Various television journalists predicted a sweep from Breaking Bad myself included, but it was really Showtime’s new hit show Homeland that took home a wave of awards. Showtimes first win in the category of Drama Series. As far as next year is concerned a lot of the nominated shows are coming to sad ends, including Breaking Bad and Mad Men has rumored to end soon along with 30 Rock. We have a solid group of new shows coming out this Fall, usually half will get cancelled, but hopefully we will see something remarkable. If not it be nice to see Game of Thrones or comedies like Community get more well-deserved attention in 2013.